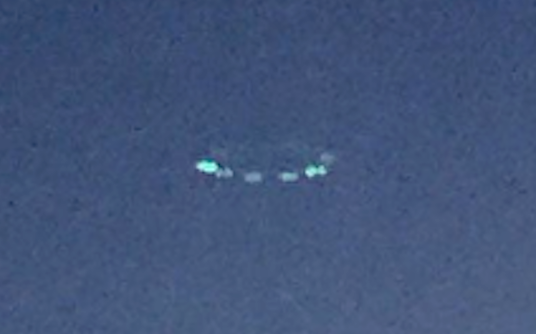 UFO SIGHTINGS DAILY: Hollywood Rowan Blanchard Catches UFO Over New York City, Aug 23, 2016, UFO Sighting News. 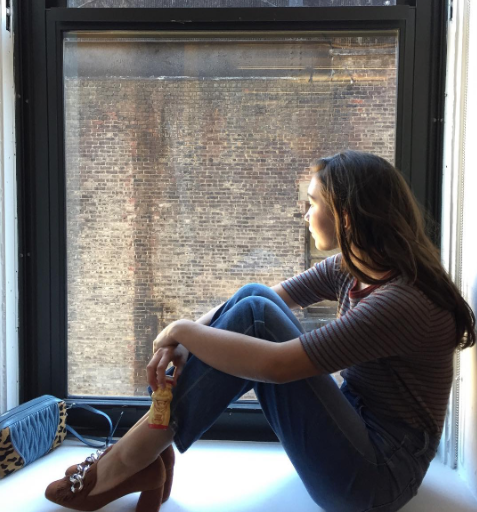 Hollywood Rowan Blanchard Catches UFO Over New York City, Aug 23, 2016, UFO Sighting News. 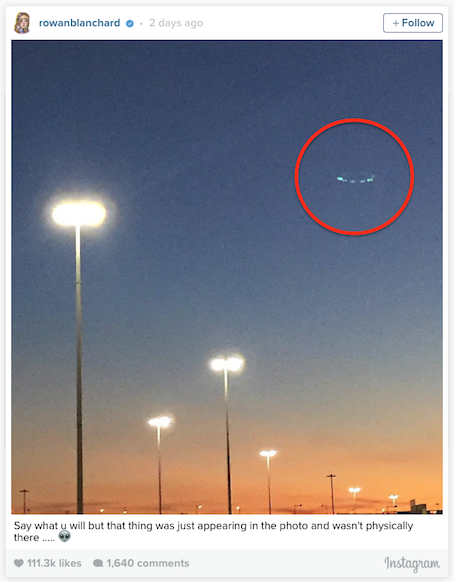 Today own Instagram Hollywood star Rowan Blanchard posted a photo of a UFO that has he fans a buzz. While visiting in New York City, she chanced to take a photo during a beautiful sunset, and accidnetly captured a UFO disk that is 90% cloaked. Remember what I said about sunset being the most common time for UFOs to be seen? 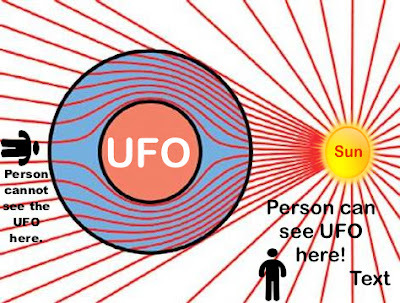 Its due to the bending of the light, the observer (us) and the angle of the sun. She stated, "Say what u will but that thing was just appearing in the photo and wasn't physically there ..... 👽." This is a fantastic catch and I am so glad she shared it with us all. This is 100% evidence that aliens do watch over New York City with enthusiasm.